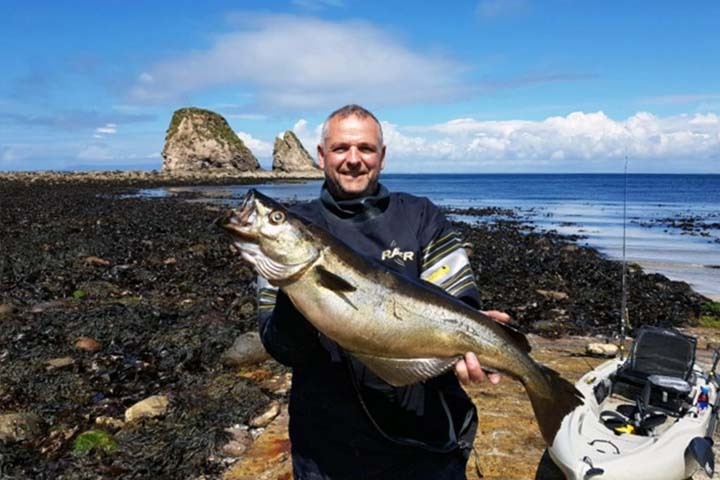 Fish is a staple part of the daily menu at Grassington House, and we pride ourselves on seeking out some of the best catches from both the north east and west coasts. We source responsibly from some of the best providers out there, and we have been working with a number of our fishing contacts for many years. Brendon, featured here, is a good friend of Grassington House. John met Brendon over ten years ago when he was working at the White Hart in Lancashire. Brendon is a plasterer by trade, but fishing is his hobby and he is a really keen fisherman. Several times a year he goes line fishing off the coast of Scotland, and the quality of fish he catches is superb, and always with a story to match. We serve the Pollock Brendan catches on our menu lightly battered, with minted peas and triple cooked chips.